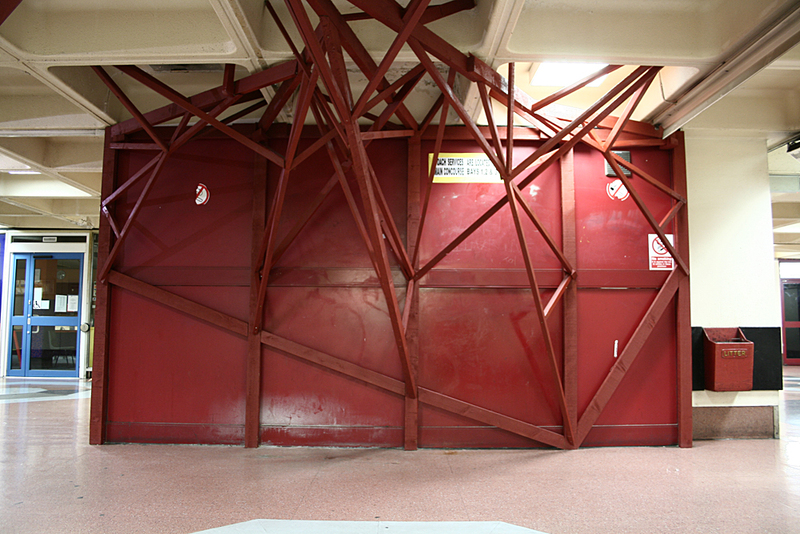 Installation using found timber and red oxide primer. 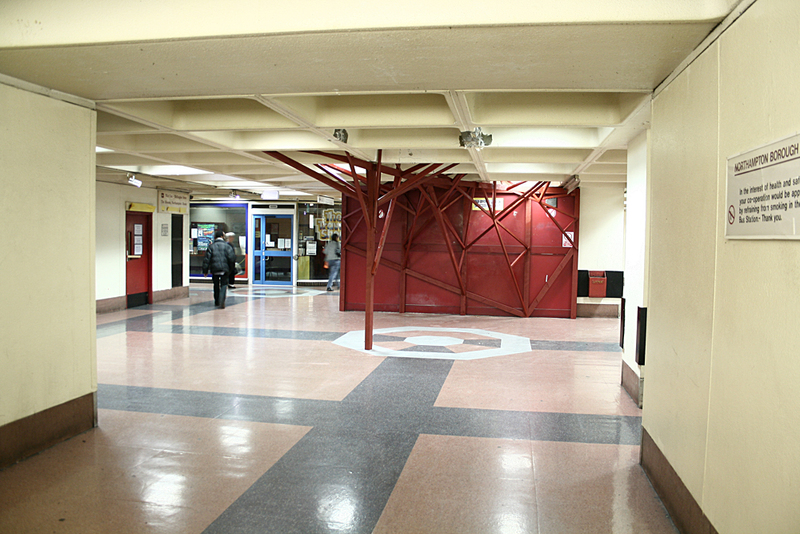 Commissioned by OSOP for Greyfriars Bus Station, Northampton. 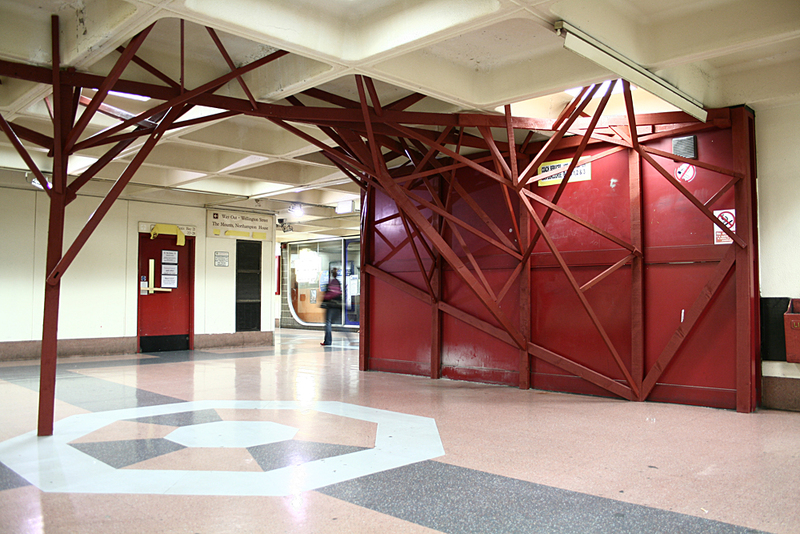 Survivalist was a response to the continued threat of demolition to Greyfriars Bus Station in Northampton. 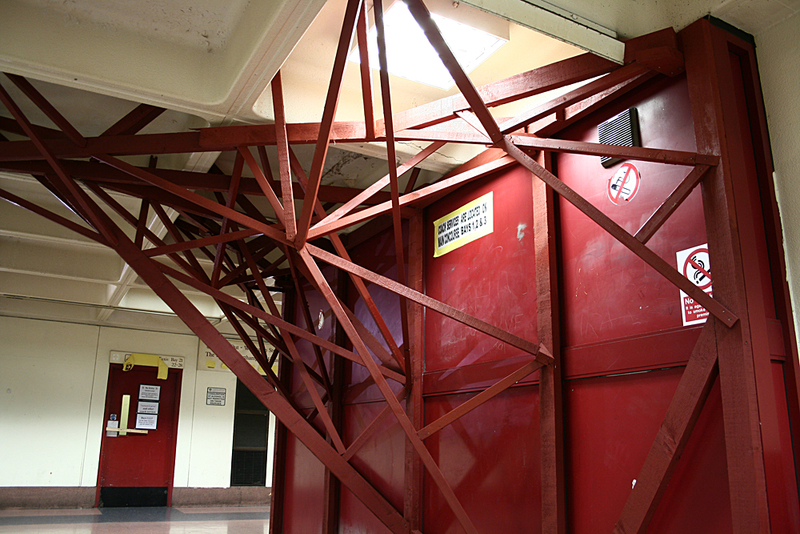 The intention was to make it appear that the building was somehow attempting to brace itself and possibly even save a part of itself from the demolition. 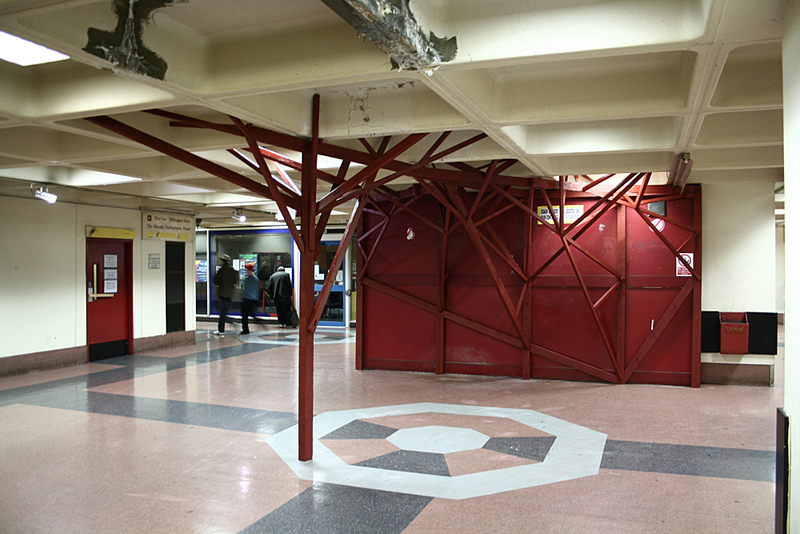 To achieve this a structure was built that appeared to have grown out of the side of a disused unit in the area beneath the station concourse. 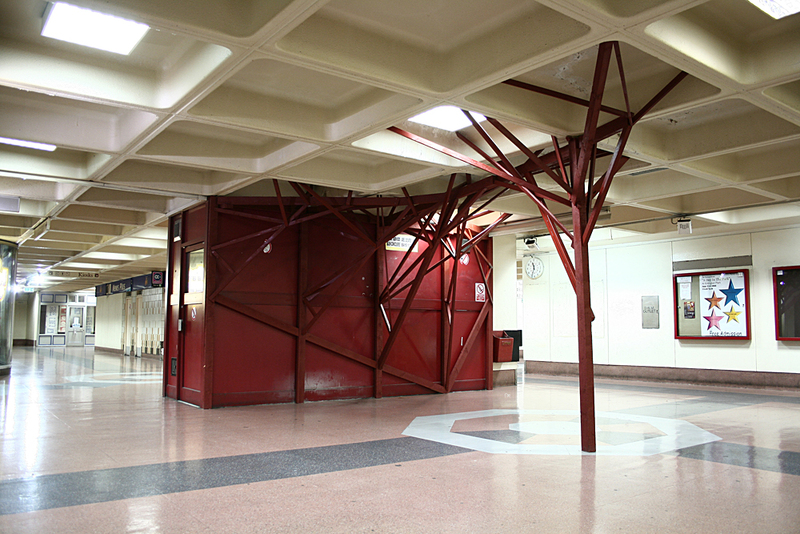 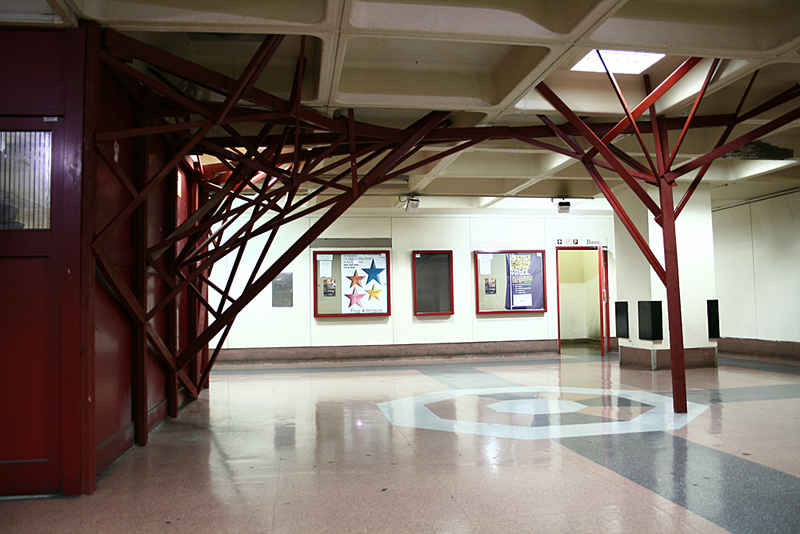 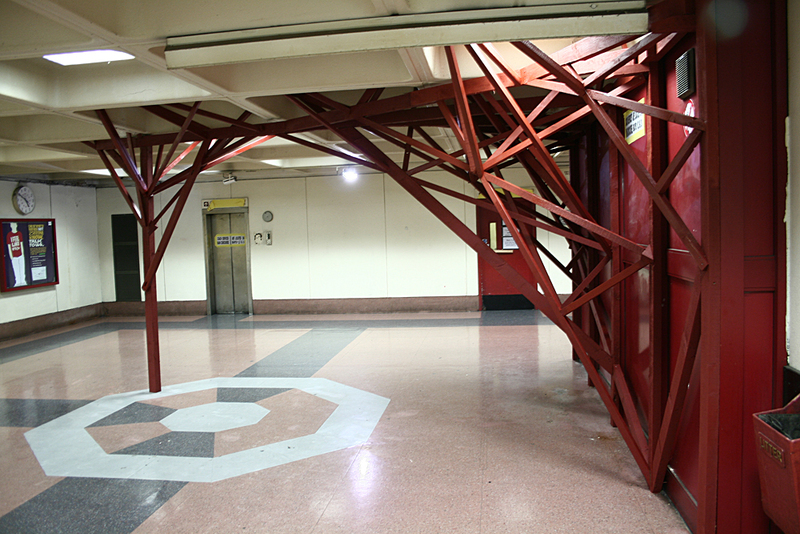 The structure was made from materials found in and around the station and painted to match the unit. 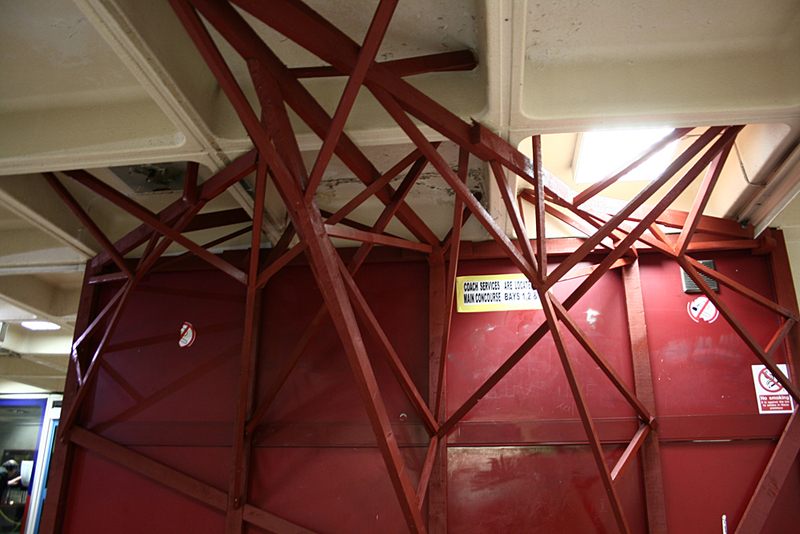 Built on site over a number of days, the public watched as the installation grew, asking questions, and either doubting the structure would save the building or enjoying the idea that it could even try. 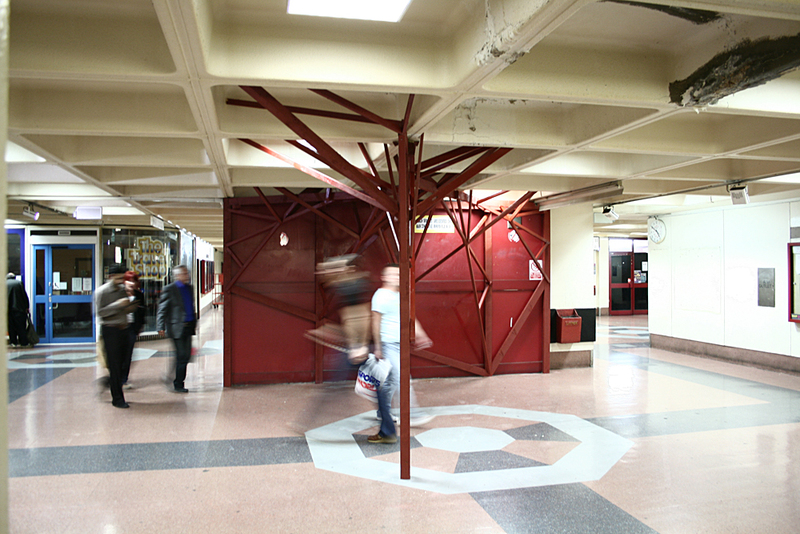 Special thanks to Naomi Haigh, Hilary Stone, Alan at Mansells, Jewsons, Alan Craggs, Shawn and all the staff at Greyfriars Bus Station, and Trevor Pitt.